Scalable sales and engineering team have returned from a successful ITEC show in Stuttgart Germany. ITEC is an international forum for military simulation, training & education that has been running for 28 years. With over 60 countries represented, Scalable was on-display in a number of booths across the floor, in fact, the majority of blended simulation systems at ITEC were using Scalable’s patented automatic calibration software. 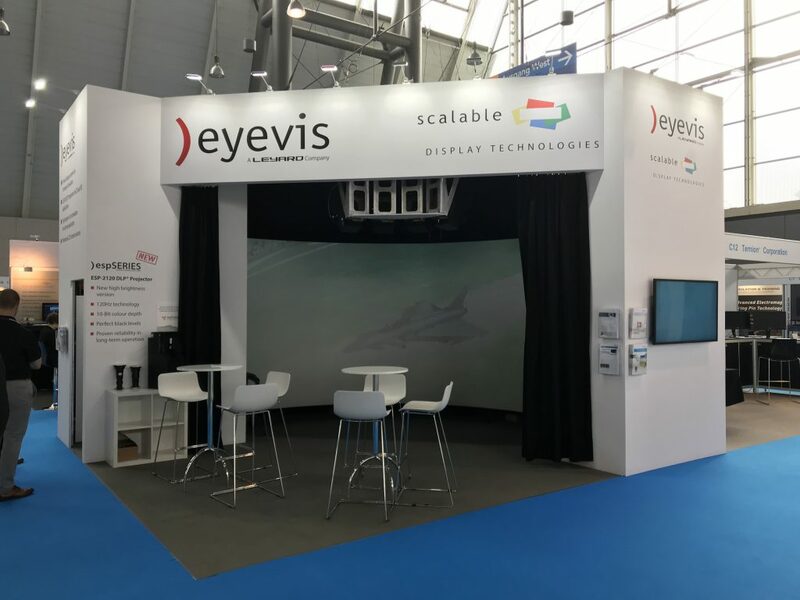 Scalable partnered with Eyevis, leading provider of LED display solutions for simulation, highlighting their new ESP-2120 projectors on the stand. Scalable also partnered with Draper Screens who provided a large immersive TecVision screen, displayed prominently in the booth for all customers to see. Scalable Display Technologies maintains strong position as leader in the simulation market for automatic calibration solutions and will exhibit at I/ITSEC in the US on December.